Godzilla's son has gone through many incarnations and names over the years. Minilla, little Godzilla, Godzilla Jr, etc. and don't get me started on Zilla Jr. even though Toho might be afraid of giving Godzilla a son again after Godzilla 1998, I think there is always a possibility to bring him back. This was another requested monster in the "how to include in the monsterverse" and was requested by minecraftdinokaiju. thanks for the submission. 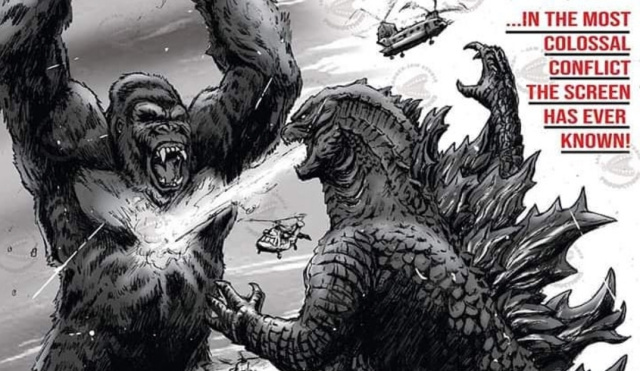 I know the future of the monsterverse is looking really bad right now, I do want to speculate and theorize how Godzilla's son could be included in the monsterverse. back in 1999, a mine collapsed in the Philippines where there were 2 eggs found. these eggs eventually hatched and turned out to be the so-called MUTO's. these creatures had absorbed the radiation of a deceased Godzilla for millions of years. after 20+, Monarch was known to the world which made gave them the opportunity to burry out the Godzilla fossil from the Philippines and transports it to somewhere where it could be studied better. whilst they were digging parts out of the ground, they discovered an egg hidden underground. this egg was about 2 meters tall and was feeding on the same radiation as the MUTO's to survive for millions of years. 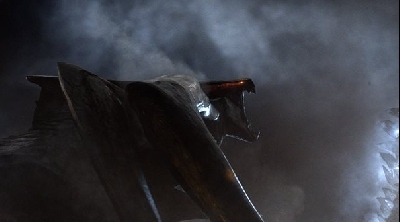 at first thought, the egg was thought to be a MUTO egg, even though it looked different and was bigger, but after some experiments and DNA comparisons, it was revealed that this egg was part of the same species as Godzilla. it was likely the egg of the Godzilla skeleton millions of years ago when it was still alive. this is egg was very close to hatching because it couldn't feed on any more radiation from the Godzilla corpse and had to search for a new source of radiation when it hatched. that's why this egg was capped in a room with radiation sources around the egg. some time has passed since the egg was at monarch and a Godzilla is back in town. this part might take place in the "Godzilla 2" or "Godzilla vs kong". godzilla is fighting for his life and unintentionally destroys the main power source of the facility where the egg is being capped. the radiation sources stop working and because the power of the research station has been lost, the safety measures couldn't start in time. the egg starts to hatch and they can't stop it now. the egg fully hatches and Godzilla's Jr is born. still being locked up in the room, scientists discussing if they should kill it or not. eventually, they agree to let it stay alive for research purposes. 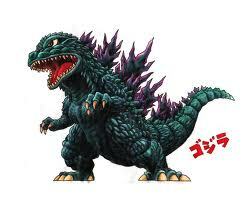 after a year or so, the creature was named Godzilla Jr and was a friendly creature, only eating plants instead of flesh. but one day a chain reaction was created when Godzilla Jr for the first time roared. this roar was heard by Godzilla himself. 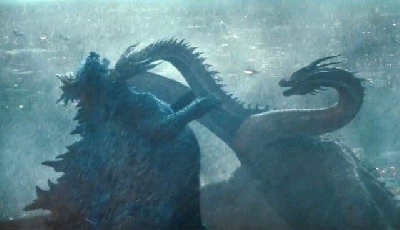 btw, Godzilla has been known to be able to hear roars from a long distance away, seeing as he heard the roar of the MUTO's in 2014. seeing as Godzilla is the last of his kind, he went in the direction of the roar to take the Godzilla Jr back. this could be a way to have Godzilla be the villain of a movie. I also imagine having Mechagodzilla in this movie, but now we are getting off topic. After a full movie about Godzilla trying to get Godzilla Jr, Godzilla gets Godzilla Jr and takes him back to sea to live alongside Godzilla. I think it would be cool to see Godzilla Jr overtime grow up into a full adult Godzilla like hed id in the Heisei era. if Godzilla dies at the hands of some creature (possibly Mechagodzilla, Ghidorah or destroyah if they ever get added), then Godzilla Jr could take his place in the franchise. I think Godzilla Jr could bring an interesting version of Godzilla to the monsterverse. this version would be more like the Showa Godzilla, being more of a protector and caring about humans. this could be an interesting contrast next to the current Godzilla how is more like the Heisei version of the character. off course Godzilla Jr would have the same powers as the current Godzilla and any powers that come later, but there is one thing that I would like to add and that would be Minilla's smoke rings. 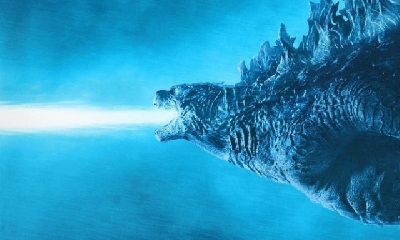 I think it would be quite nice to see this power be the first phase of the iconic atomic breath for Godzilla Jr. This is the end of the forum. once again, thanks for the submission by mincraftdinokaiju. I hope you like the end result. I said in the beginning that the future of the monsterverse is looking not so great for us, but this doesn't mean that I will stop making these. if you want, you can incorporate these ideas as being for the upcoming Toho cinematic universe that was announced recently. anyway, I hope you guys enjoyed it. You're welcome for the submission. Also, that sounds like an awesome way to introduce Godzilla's son into the Monsterverse. I like it. Can't wait for the next forum. I like how you introduced the Godzilla Jr. with the bones of the dead Godzilla in 1999. The site seems to be ground zero in a lot of the topics. I like it in a way. But the rest seems like the same premise of Godzilla vs Mechagodzilla 2(1993). But hey, its still fun. Thanks. 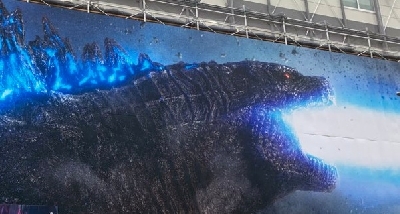 I really wanted to integrate those bones into the story, because as of right now that is the only other Godzilla (besides the current Godzilla) that we know about and it would just connect it to 2014 perfectly. It were just 2 puzzle pieces that fitted together perfectly. And yeah I have to say that I took a bit to much from the Heisei versions origin than I should have, but there was only so much I could do with this idea. I thought the idea of Godzilla Jr for a while growing up with humans would tie in the human and the monster story of the movie perfectly, which I think most people find important in these kinds of movies. 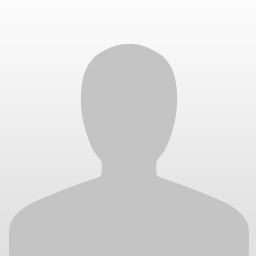 I do need some help for the next topic because I have no idea what monster to do it about. 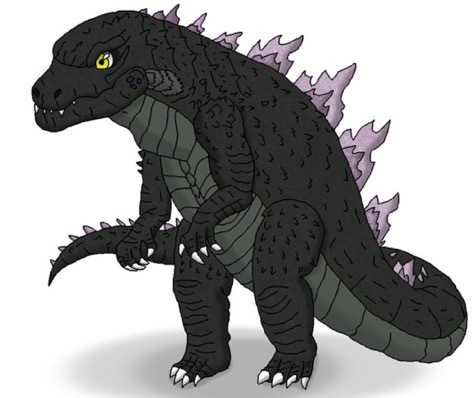 Do you guys have any suggestions for a monster (Godzilla related or not) that you guys would like to see get a modern and believable version of? I think maybe having Ebirah or Kumonga would be fun to do. I like how Ebirah was tied to the terrorist organization "The Red Bamboo" through the nuclear fallout from there heavy water factory. That's why Ebirah and the Condor are so big. Kumonga can be easily explained but Im sure you can think of something more flashy. Like how Mothra is introduced. Maybe Kumonga is Mothra's Joker per say. They are the God(Mothra) and Devil(Kumonga) version for Mothra's(possible) desciple's. Who hasn't wanted to see those 2 kaiju fight? Also Biollante would be neat. Since you introduced Godzilla Jr., Monarch would have easy access to Godzilla cells to experiment on. Just throwing out ideas. Scientist playing and messing around with animal cells are already a thing so yea, let's bring in Biollante. I can definitely do Biollante. Going from an overlooked kaiju to a fan favorite. biollante does need some adjustments to his origin especially the human part of her, but I think I can work with that. Thanks, guys for the suggestion. Btw, do you guys think that Biollante would have been such a good villain for the anime trilogy? He is in the prequel novel briefly, but she deserved way more than she got. She would have worked very well with the ”plants taking back the earth” theme these movies have. I was hoping the Anime trilogy would use lesser used Kaijus. I am very surprised that Biollante wasn't more involved. Since the Servum are part of the ecosystem on the planet, you would think some kind of Godzillian plant monster would be seen as well by now. Out of all the heisei kaiju's Biollante is the most interesting and complex kaiju's in the series. Also one of my favorite as well. I know right. Toho keeps sticking to the same monsters in their movies. 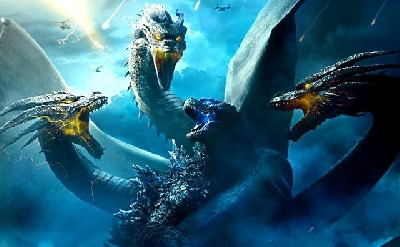 I mean with King Ghidorah being teased a lot recently, Mothra being basically confirmed and MechaGodzilla already being part of the plot of the 2nd movie, there should be more underused classic monsters in these movies. I know the prequel novel features a lot of those monsters, but it would have been nice to see them onscreen than just in a book. Also I think that spacegodzilla could have been a great Alternative for King Ghidorah as the final monster in the trilogy. 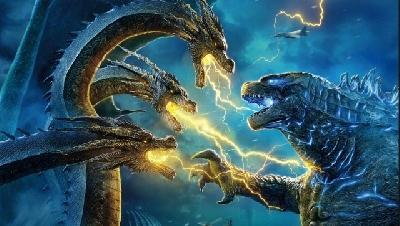 Do you guys agree with that or are you happy to see King Ghidorah back in a Japanese movie after 14 years. I like Spacegodzilla, but he is not really popular enough to be brought back. I think King Ghidorah is being way over used at the moment. 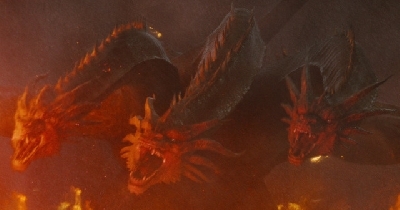 With Legendary bringing King Ghidorah, Mothra and Rodan back in the frame I think Toho could have went another route with a villain in the 3rd movie. I mean, there are plenty of other Toho kaiju's that would be cool to see fight Godzilla Earth. But I must admit, seeing a 1000ft+ tall King Ghidorah would be fascinating to see. I mean the wing span alone on that thing would be enormous! Truly terrifying to see in an anime movie.